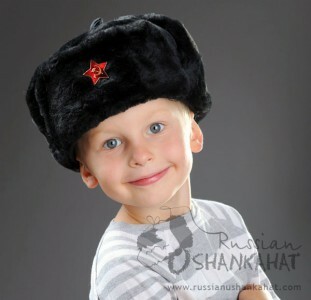 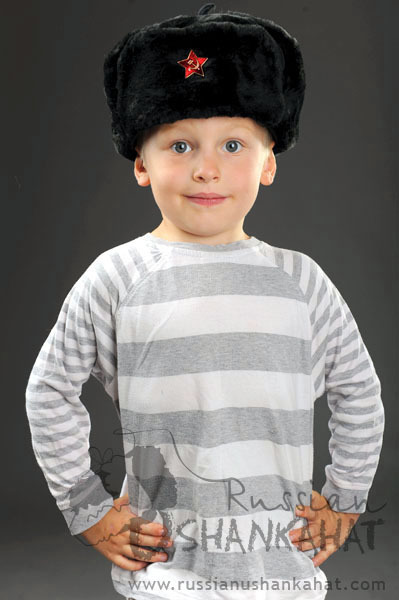 Russian Army Black Faux Fur Ushanka Hat with Soviet Army Soldier Badge - Kids, children size. 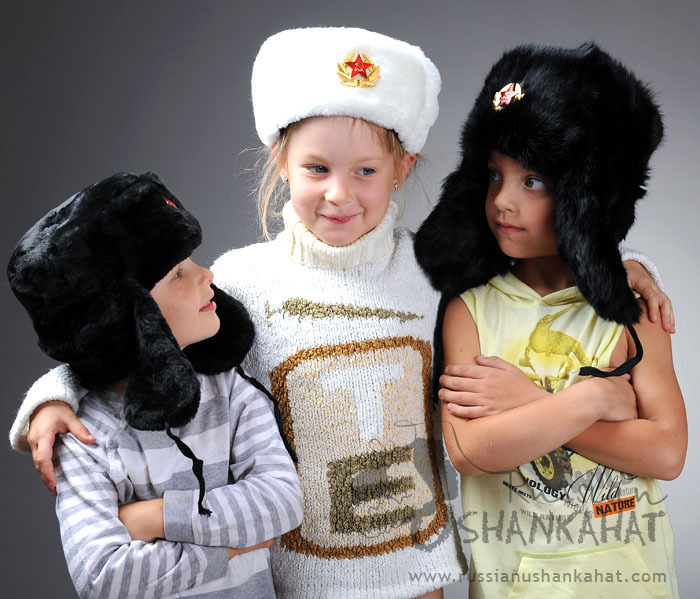 Boys or Girls. 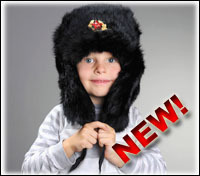 Russian soft faux fur hat with ear flaps for cold weather.